Easter Chocolate Lasagna is fun, light and easy, no-bake recipe for delicious, layered dessert that kids will LOVE!! 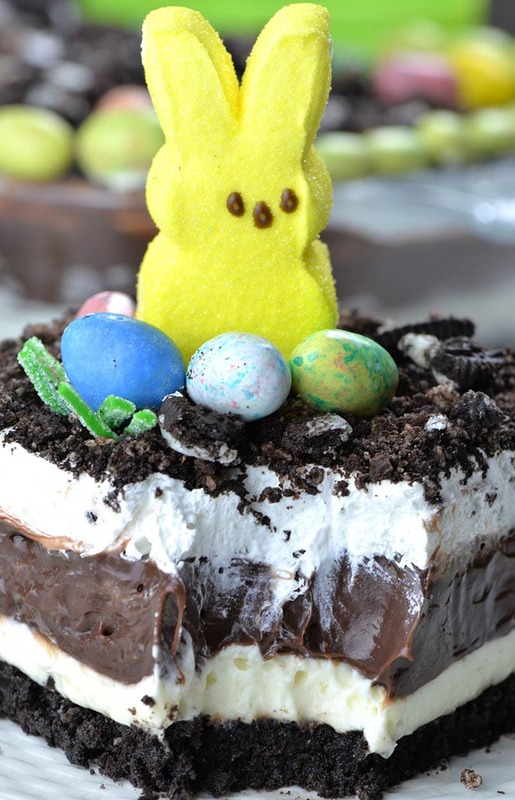 No bake dessert with crushed Oreo, cream cheese, chocolate pudding and Cool Whip, garnished with Peeps and Easter egg candies is perfect addition for Easter table. 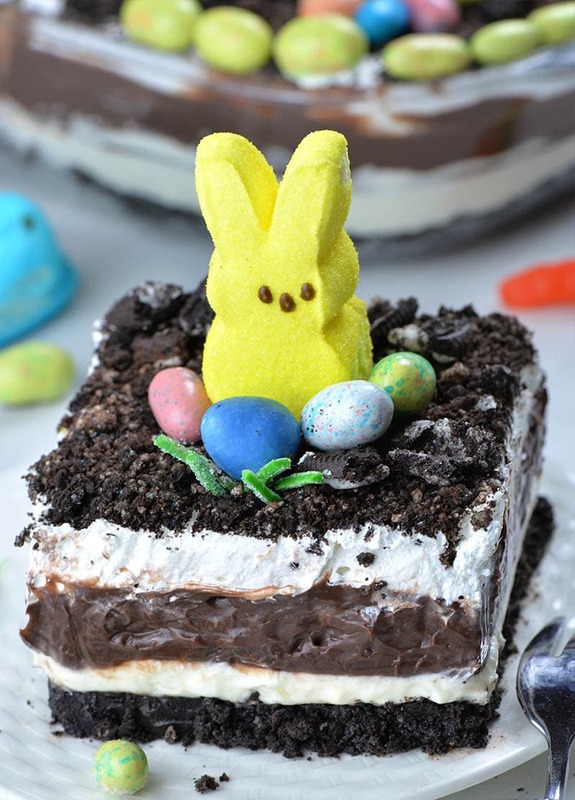 This Easter Chocolate Lasagna is holiday version of my Chocolate Lasagna. But if you are looking for refreshing, fruit flavored layered dessert for your Easter menu, then you should check No Bake Strawberry Jello Lasagna, White Chocolate Blueberry Lasagna and Strawberry Lemonade Lasagna, too. Classic Chocolate Lasagna is layered dessert, perfect for parties to feed the crowd and it’s completely no bake recipe!!! You can make all 5 of these delicious layers in less than 20 minutes, using just a few simple ingredients. Bottom layer is combo of crushed Oreo and melted butter. White layer is mixture of cream cheese, butter and cool whip, flavored with vanilla. It’s followed with chocolate pudding layer, Cool Whip layer and crushed Oreo topping. Easter is one of my favorite holidays. Easter is time to gather with friends and family and perfect occasion to make some of my favorite recipes like Carrot Cake Poke Cake and Homemade Reese’s Eggs. My new favorite dessert is Easter Chocolate Lasagna which is just a holiday version of my Chocolate Lasagna with holiday candies on top. 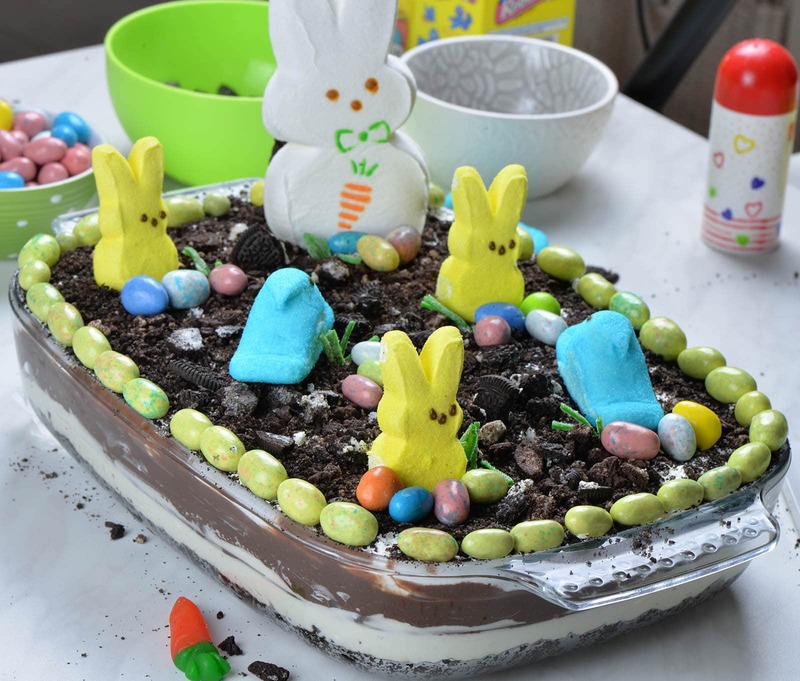 And if you like Oreo, Peeps and Easter egg candies then you’ll love this Easter Lasagna. Kids will love this for sure! Transforming classic chocolate lasagna into festive dessert is so simple and easy. Although, I usually garish my Chocolate Lasagna with chocolate chips on top, this time I used crushed Oreo instead. 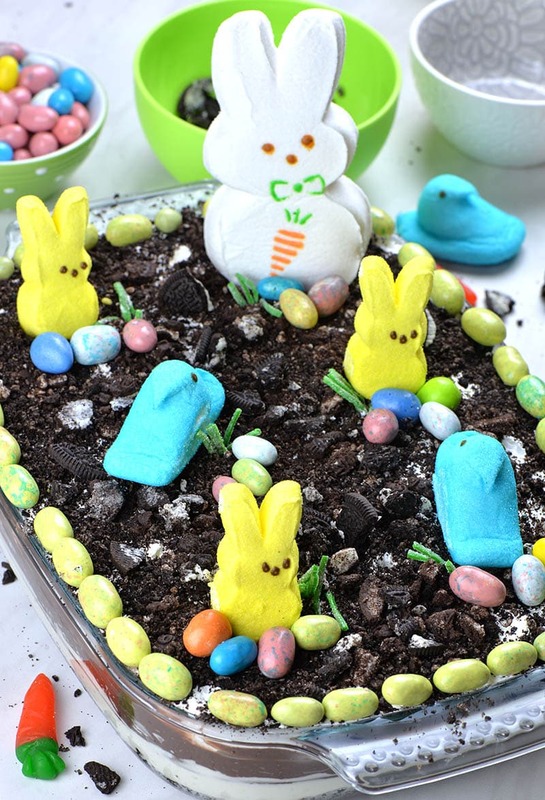 I wanted to create fun and cute Peeps Easter garden on top of this Easter Chocolate Lasagna. Peeps Easter garden looks super fun, colorful, plus …it’s so easy to assemble and so delicious to eat! Craving for more Easter dessert recipes!? 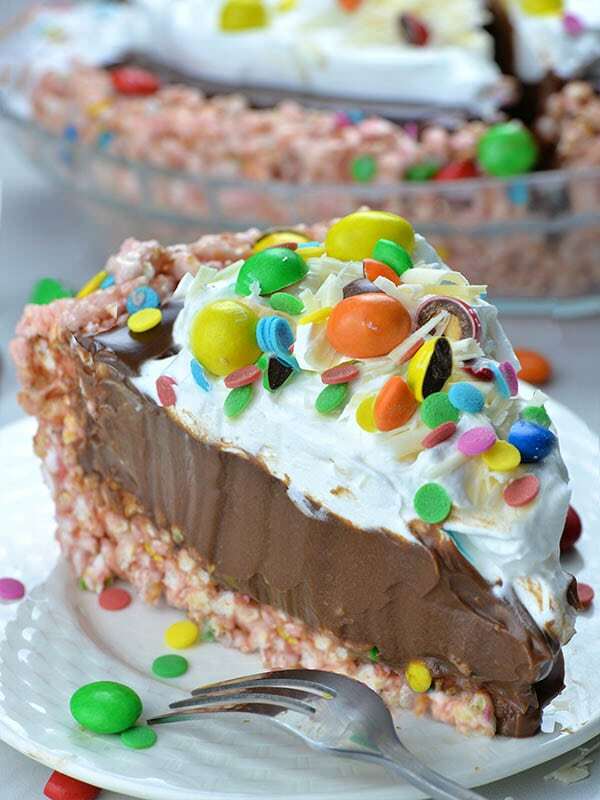 This No Bake Easter Chocolate Pie with Rice Krispie crust and chocolate pie filling, topped with whipped cream, colorful confetti sprinkles, M&M candies and white chocolate shavings is perfect and easy dessert recipe. 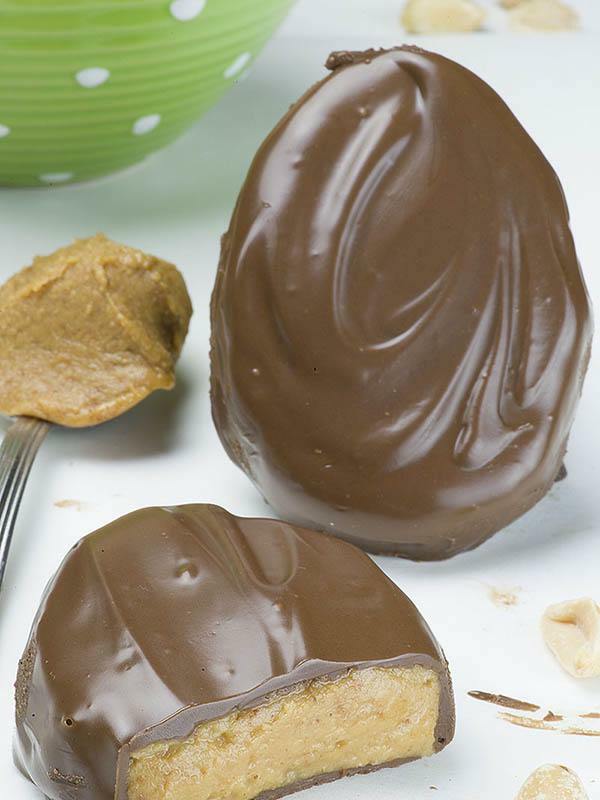 Homemade Chocolate Peanut Butter Eggs are easy Easter dessert recipe for peanut butter chocolate covered eggs.